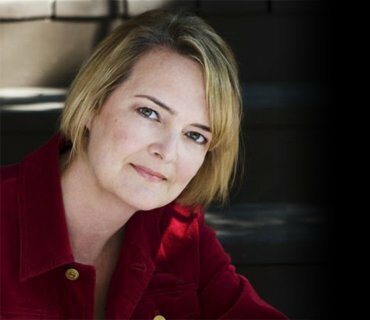 How to recognize soul signs: when I did, I made a life-changing decision. In my 20's, I was ambitious. I wanted to move up in corporate, but my soul had a different idea. The harder I pursued “corporate success” the more dramatically the floor would fall away. Two companies I worked for went bankrupt. One of them collapsed just as I had my first job that I actually liked. I figured out this peculiar truth for me the hard way. When I initiate or drive something by playing by someone else's rules, things often fall apart. However, if I choose my heart over my head, choose my creative expressions over everything else, opportunities (and unexpected windfalls) often serendipitously kick in to help. This happens with new clients, and even romantic relationships. When I initiate and go for something I want, often the timing is way off or there's a poor fit. Time and time again, the best relationships and the best clients and opportunities I've ever had have all just... found me. Now this may not apply for everyone (indeed, some people are here to learn how to initiate something), but this is the way it's been for me. So over the years, my soul has had great fun with my logical mind. Again and again, it sets up situations which throw linear cause and effect out the window. So I've known this about myself for a while. Yet each time I'm facing a fork in the road, or a transition in my life, my mind still tries to take control and sometimes, for a time, even thinks that it is. Later when the BIG REVEAL happens (i.e. my soul removes my blindfold) I often find that I'm facing in a completely different direction! That all the plans hatched by my logical mind were merely distractions. You see, it wasn't my mind making things happen. The real challenge was getting my mind out of the way! Recently as I've shared with you, I began looking to downsize my condo in the city. I bet I spent a hundred hours researching, talking to real estate agents, visiting condos in downtown Toronto. Through a series of mistakes, I began exploring further out. Short story — instead of buying a small city condo, I ended up buying a spacious, century home in a small town and getting all kinds of serendipitous assistance to do it. I can't tell you how perfect this is for me! Yet originally, I was looking for something very different. So in January, Sandra and I spent the day together to clarify our intentions and goals for 2014. I had moved a few weeks before and had brainstormed intensely. On “the day”, my list of “todos” was exploding in my brain. I envisioned coming out the other side, on fire with energy and clarity on where to go next. When my turn came, I started by quickly going over where I had been. A few tough years, now on the upswing. For the past two years, I have more than doubled my income each year. Good, huh? Yet, why did I feel as if I was lagging behind? Logically, I laid out my grand plans to Sandra. There must have been something in my voice. I looked up for her thoughts and what she said shook me. Do you need permission to accept your success? When Sandra said those words, I was shocked and then the tension inside gave way inside me. Even though I had met my goals, I didn't do it in the way I had planned so it felt like failure to me. I was my own worst taskmaster, tougher on myself than any boss I've ever had. Why do I do this to myself? I felt like crying. You may not know, but I work freelance as a plain language consultant for technical industries like insurance companies. The projects I'm working on now will be seen by millions of people and some of those people will be in great emotional distress. It's an interesting perspective, isn't it? Where can you radically shift your perspective about the energetic gifts you give to the world today, now, in the moment. You need not touch millions. Perhaps you touch your child, your neighbor or your community. It all matters. 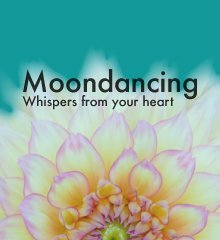 When I wrote Moondance, I dreamed of touching many people, and I also knew that it was a long shot. I wrote it for me. Along the way, there have also been folks who because they're on a like path, resonate with what I wrote. Together, we-cocreate its life in the world. Of course, nothing in life is certain. I gave up on that long ago. I figure that even as I grow, my soul will keep being one step ahead of me, and surprise me with life's twists and turns. I've decided to accept the unexpected in my life and I've made some decisions. 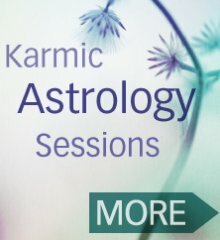 I'm no longer going to offer karmic astrology sessions. I am going to continue writing this ezine when I have something to say. It may be every few weeks, or it may be more often. Always, it will be from the heart. I am going to focus on finishing my second book. It's a ways off yet... but I'm 100 pages into the exploration. What I do know is that what I'm birthing now will be very different than in the past. Thanks for reading, and for exploring with an open heart. Thank you for honouring your own inner change and awakening of intuition, for embodying *you*. Sending much love. I look forward, with curiosity, to next time.